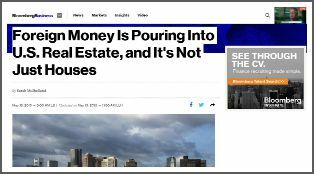 Until recently, the commercial real estate industry was like a grumpy old man at a Katy Perry concert: out of touch and seriously unwilling to listen. Thankfully, with the help of amazing commercial real estate experts like these, those days will soon go the way of the dinosaurs. It means things are about to get a whole lot better. From data transparency and client relationships to new sources of commercial funding and content delivery, these CRE experts are here to guide you along the way. A bold, in-your-face, forward-thinking, CRE juggernaut. Duke Long is the refreshing bolt of energy that was needed in the once dry and antiquated arena of CREtech. This CREtech titan has thrown down his proverbial gage, swept away staid commercial real estate mores, and bridged the generational divide. Ms. Reuter is quite possibly the most influential commercial real estate expert on the planet. Her impact through social media, along with unparalleled leadership skills, simply can’t be quantified. If she isn’t on your radar yet (which truly seems impossible), make sure she is before you finish reading this. 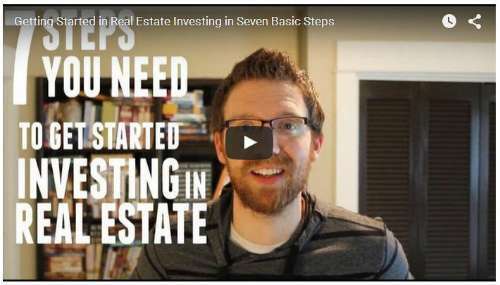 Josh Dorkin understands what kind of information real estate investors need. 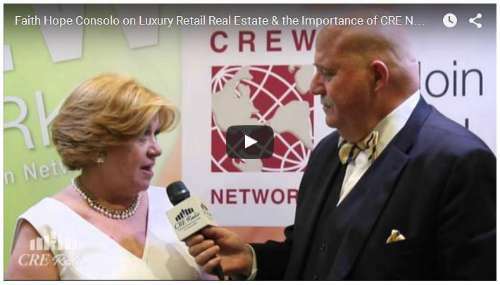 He has an infectious enthusiasm that has enabled him to create what is fast becoming a must visit destination for CRE networking and community building. 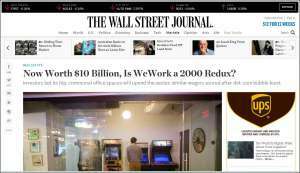 Congrats to Josh and his team at Biggerpockets.com on recently reaching 1,000,000 unique monthly visitors. Well done. Coy Davidson is the absolute authority when it comes to office space and healthcare property advice. He is currently Senior Vice President at Colliers International and founder of The Tenant Advisor, one of the most informative commercial real estate blogs you could ever hope to find. His inexhaustible knowledge and unique perspective set him in the pantheon of commercial real estate experts. Linda Day Harrison is a bona fide commercial real estate problem solver. She’s dynamic, determined and dedicated to making CRE simpler and more efficient. Her flagship, theBrokerList.com, connects brokers, building managers, and any commercial real estate pros that need timely information. Growing up on a kibbutz taught this new-day entrepreneur that a modern community needs to reward individual effort. His vision is for something far beyond providing tenants with bandwidth and beer (that’s for another story.) He has set out to create a community that inspires people to do what they love. Mrs. Malcolm is a buzz-creating, effervescent-voiced, Social Media powerhouse that is quite simply, awesome. Her innovative marketing ideas have garnered a mountain of accolades and established ICSC as a leader in all things Social Media. A true CREtech pioneer, Mrs. Malcolm has created the blueprint for all CRE pros to follow. Based out of Southern California, Allen C. Buchanan has established himself as the benchmark whom other brokers can only aspire to reach. His myriad of skills? It’s hard to know where to start: Industrial/Warehouse property wizard, negotiation specialist, noted writer/blogger and CRE social media pioneer-just to name a few. 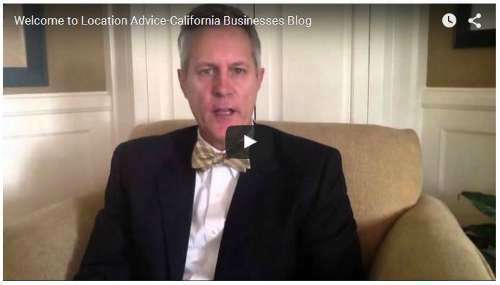 Like many of our CRE experts, Michael Beckerman is a born problem solver. As the head of his own PR firm, he quickly recognized that real estate professionals were desperate for a more efficient form of news delivery. The News Funnel does just that. All the CRE news you need, from market research to your favorite blogs, now in one place. If it impacts commercial real estate, you can be sure Kara Wetzel is the first to know about it. A Master multitasker, creative-thinker and brimming with real estate acumen, Ms. Wetzel is the engine behind Bloomberg’s commercial real estate coverage. Her dynamic mix of skills make her a CRE source to be reckoned with. Michael Bull has taken commercial real estate to the masses. His nationally syndicated, CRE Radio Show, features insights and answers from the biggest hitters in the business. As a broker, he has closed over $3 billion in transactions and is now a much touted writer and commercial real estate advisor. Ms. Clark has a true affinity for all things CREtech. Her experience as an information/technology consultant allows her to deliver a unique and invaluable perspective on the ever evolving commercial real estate environment. A straight forward, call-it-like-it-is style that both entertains and enlightens. Sprightly, spirited and sharp, Ms. Clarke has a unique talent for delivering NYC commercial/residential stories that you actually care about. From mega development leasing deals to eye-popping celebrity home prices, her writing skills always deliver. Up until recently, commercial real estate technology was basically living in the dark ages. Not anymore. Brandon’s background as both computer scientist/commercial leasing broker has allowed him to bring commercial real estate leasing into the future. Look for big things to come from this rising star. If you don’t follow Vivian and her “30-Minute Interview”, than you are missing out. Her knowledge and connections provide you with access to today’s most influential figures in commercial real estate. 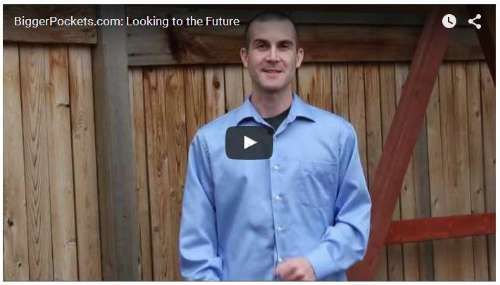 Joe Stampone is a commercial real estate expert who will inspire you. 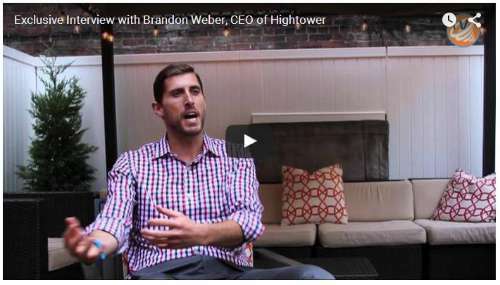 His actionable advice and passion for the CRE industry have quickly made him a name to know. As a leading commercial office broker, Ms. Beddard’s accomplishments are beyond praiseworthy. Upwards of $100,000,000 in closings all while solely being focused on putting her client’s needs first. Her altruistic nature shines through as board member and hard working connector for the CREW Network. Ms. Asgarian has an upbeat and charismatic voice that jumps off the pages at you. Her deep understanding of the commercial real estate markets allows her to drill down, on a granular level, and extract the most pertinent CRE news stories. 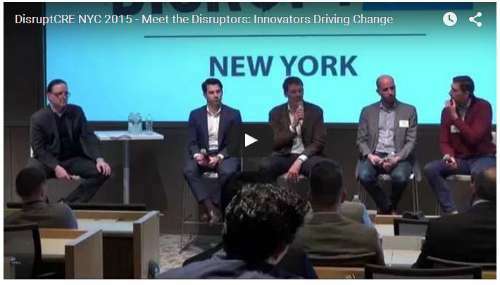 Helpful topics include the newest in CREtech to actionable property leasing tips. 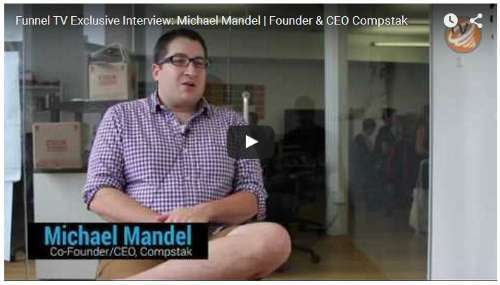 A deep, analytic thinker, Michael Mandel is challenging the CRE industry giants with a new way of approaching data. As a former commercial real estate broker (Grubb & Ellis National Rookie of the Year), Mandel knew things could be done far more efficiently. Used by brokers, appraisers, investors and lenders, CompStak embraces a crowd-sourced, scalable business model to gather and distribute data. 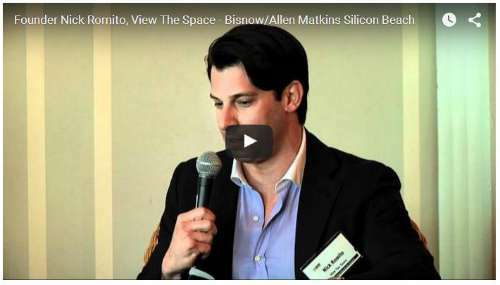 Nate Donato-Weinstein breaks CRE news from the hottest commercial real estate market on the planet, Silicon Valley. His editorial acumen and ability to break down complex topics sets him far above the competition. Oh, and don’t forget to ask him about his obsession with Commodore Computers. 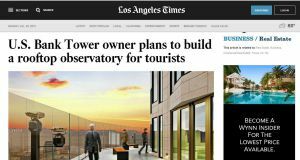 The idea for 42 Floors grew from a conversion he had with his girlfriend about the drudgery of trying to find office space. He’s a straight forward, pull no punches CEO, ready to bring transparency to the masses. Ms. Mulholland provides an easy to understand voice in the often perplexing world of big-time commercial real estate. Whether it’s heavy hitting developers, the inside skinny on juicy deals or the latest CMBS breakdowns, she has you covered. Hi-energy, hyper focused and hugely ready to succeed. Andrew Bermudez is the brains behind Digsy, a new platform where brokers and business owners can connect to find commercial space. From Brooklyn to Midtown South, Daniel Geiger has been plugged into the NY commercial real estate scene for over 10 years. 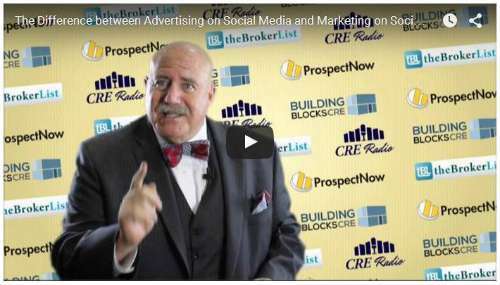 He is credited with bring Real Estate Weekly into the modern age by being one of the first CRE reporters to recognize the power and reach of social media. 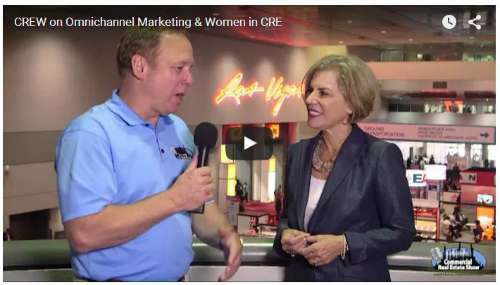 His interviews provide you with exclusive news from all of CRE’s major movers and shakers. Faith Hope Consolo has been a pioneer of retail globalization, brought Times Square back from the abyss, is Chairman of Prudential Douglas Elliman’s Retail Group and is an ineffable inspiration to women in all industries, not just commercial real estate. She is also the founder of ICSC Women’s Special Industry Group, a noted philanthropist and marketing master. Commercial real estate expert? No, more like CRE expert extraordinaire. Ms. Crocker has taken CRE number crunching to a new level. As principal analyst at EDR Insight, she has become the go-to expert on environmental due diligence trends in commercial real estate. 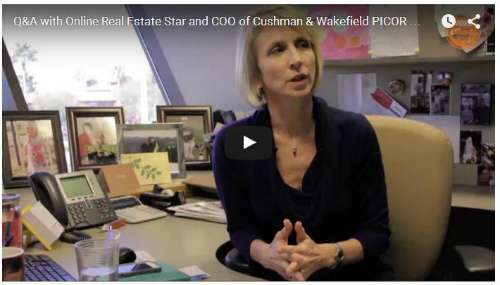 She offers truly stunning insights on risk management and the state of the CRE industry. Roger provides a unique perspective on commercial real estate in the Los Angeles area. His in-depth reporting allows you to get a genuine feel for the current pulse of the commercial property market. At the young age of 21, Brandon Turner profited from his first real estate investment and hasn’t looked back since. As VP of marketing and communications, he is the face of the widely influential Biggerpockets.com, host of their #1 rated real estate podcast and a ubiquitous presence on the web. 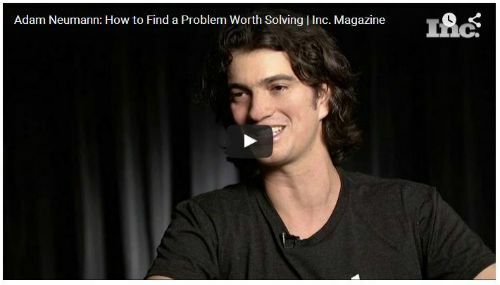 His much sought after tips have been featured on the Huffington Post, Entrepreneur.com and countless others. Eliot Brown provides a fresh mix of insightful analytics, unassuming confidence and a solid knack for knowing what matters most in commercial real estate. He is a frequent guest commentator or Wall Street Journal Live and has a firm grasp on N.Y. politics. From the latest developments in fast growing communal office space trends, to uncovering the next billion dollar transactions, Mr. Brown always delivers. When it comes to commercial real estate sustainability and green investment, Ms. Piperato is there to provide answers. Her daily “10 Must Reads for the CRE Industry” should be added to your bookmarks. Is there anything Diane Danielson can’t do? And did we mention, somehow she had time to write two books. Along with his love for surfing, Nick Romito is now enjoying the thrill of riding the rising CREtech wave. His rapidly growing start-up, View The Space, is attracting clients like Vornado as well as big-time investors like Blackstone Investment Group. Need to know what’s going on in Mulitfamily? Look no further. Lindsay Machak is seriously dialed in. She is somehow able to seamlessly transition from the impact of millennials on multifamily trends to the inner workings of Multifamily finance. If anybody is ready to lead commercial real estate into the next chapter of data-driven decision making, Pierce Neinken is the man. 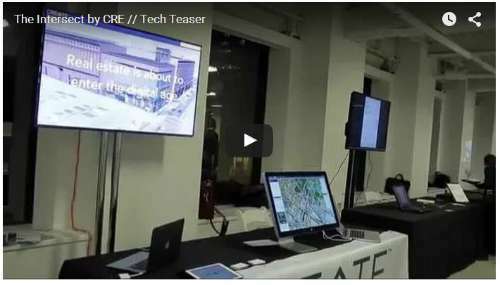 Along with his post at CBRE, he is also the brains behind CRE // Tech Intersect, a bi-annual tech symposium that was designed to start a larger conversation about how technology will soon change the industry. Pierce Neinken has seen the future. Now it’s your turn. 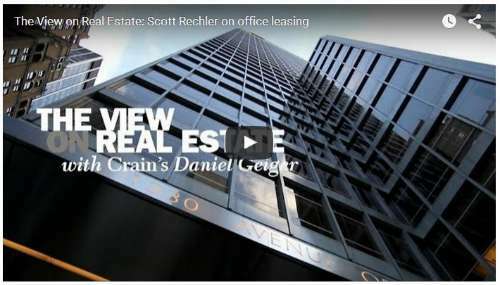 David Levitt is the quintessential commercial real estate reporter. His unmatched coverage of the World Trade Center, as well as CRE during the great recession, has garnered him praise and admiration from all corners of the industry. Be sure to visit him on twitter for a mix of sharp wit and the most up-to-the-minute, breaking news stories. Based out of San Diego, CA, Michael Lagazo has become a commercial real estate force to be reckoned with. He is a Sr. Advisor at Sperry Van Ness, Manager for ALDI, master of business growth for retail, hospitality and office and a veritable wizard on Twitter. Michelle McFee has a super talent for distilling difficult CRE topics and making them clear for her readers. She was honored as the best business reporter in Ohio by the state Associated Press Society and was recently awarded with the 2015 Gold award for “Best Commercial Real Estate Story in a Daily Newspaper” from NAREE. Judging by her Twitter profile, you may not want to challenge her to a bike race. Howard Kline is probably the most well connected figure in all of commercial real estate. Whether he’s interviewing Lori Kilburg of the CREW Network or discussing the state of the economy with Steve Forbes, the information he provides is second to none. You are guaranteed to enjoy his friendly approach and vast supply of CRE knowledge. Ms. Rodriguez is making sure you are well connected, your office building that is. 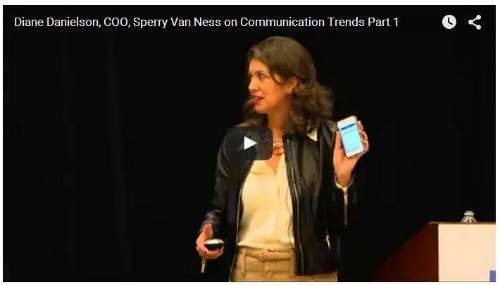 Along with her bevy of marketing skills, she also works closely with company co-founder, Arie Barendrecht, to help educate the CRE community about WiredScore’s many benefits. In partnership with former Mayor Michael Bloomberg, WiredScore offers the first ever Wired Certification program. Keith R. Auten could write the definitive book on Multifamily, in his sleep. He runs what he calls “a small time boutique brokerage” in Texas, but don’t let the title fool you, he is a Multifamily powerhouse. Unlike many in his field, he has taken social media by the horns and now provides us with a steady stream of amazing insights. Part of the new breed of commercial real estate pros, Ms. Ebrahimi is focused on writing the next chapter for CREtech. Her passion? Urban Sustainability and disruptive innovations. Along with DisruptCRE producer, Stephen Hopkins, she has set out change how we immerse ourselves in commercial environments. Ryan Dennis wants to make your life easier and more efficient. 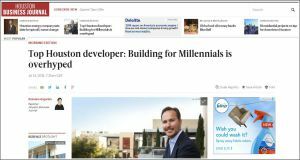 He is at the forefront of next generation thinkers: A CREtech disupter, ready to make commercial buildings smarter. Now at Genea, a company boasting clients like CBRE and JLL, Mr. Dennis is quickly becoming a name to watch in CREtech. Just one listen and it will become abundantly clear, Ms. Helman is far beyond driven. This 28 yr. old, crowdfunding rock star, was named Crowdfunding CEO of the year, featured on Forbes 30 under 30 and has been featured everywhere from CNBC to Bloomberg. 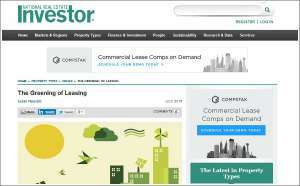 Will she be the CRE lending game changer? Should be fun to watch and find out. This is just a small taste of the amazing men and women who are currently changing the face of commercial real estate. Who are the others that influence you the most? 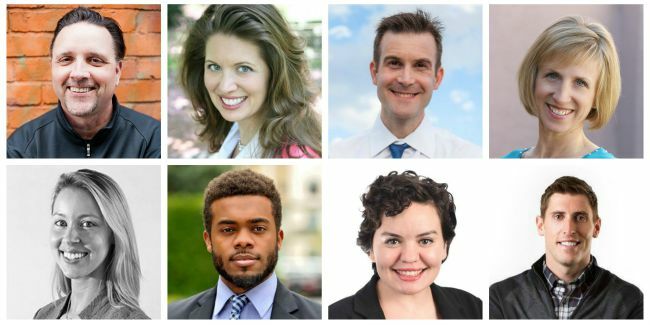 Totally flattered to be included with some of my favorite CRE folks on this list and looking forward to getting to know more about the rest of the list! Love the write-ups (those are some fun bio’s to read and spot on in many of the cases).